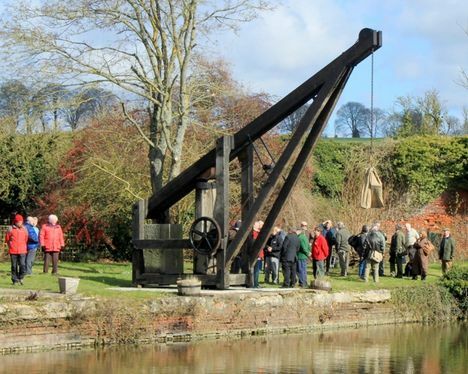 A historic crane has been restored to its original condition by the Kennet and Avon Canal Trust at the Burbage Wharf, south of Marlborough in the UK. The wooden crane was originally constructed in 1833 and was used to load and unload coal, timber, lime, bricks and other commodities at the then-busy wharf, which had been constructed some 23 years earlier in 1810. It was one of 17 cranes used to unload barges on the canal route between Bath and Reading. This was the time of the industrial revolution in Britain and canals were the preferred means of transportation for timber, stone and agricultural products.